Flex raiding seems also to not have ended the world either, which while not unexpected does point out that no great percentage of the population was going to be forced to raid Flex + Normals, + LFRs over and over. For Normal mode raiding I joined one of our Guild’s teams for a short round of attempts on the Dark Shaman. It was a reminder about positioning, clarity of thinking, raid awareness, and consideration to your fellow raiders. In Normal mode you cannot take this fight for granted as so much of it requires adaption to circumstance. It is not as stupidly random as some older boss fights have been, instead the effects and timing of the mechanics can be learned, and their variable positioning demands that the raid adjust and adapt. It was fun to wipe on, which is something that I do not often say. I hope you are enjoying it, and we continue to see some really useful features added in WoW’s future. 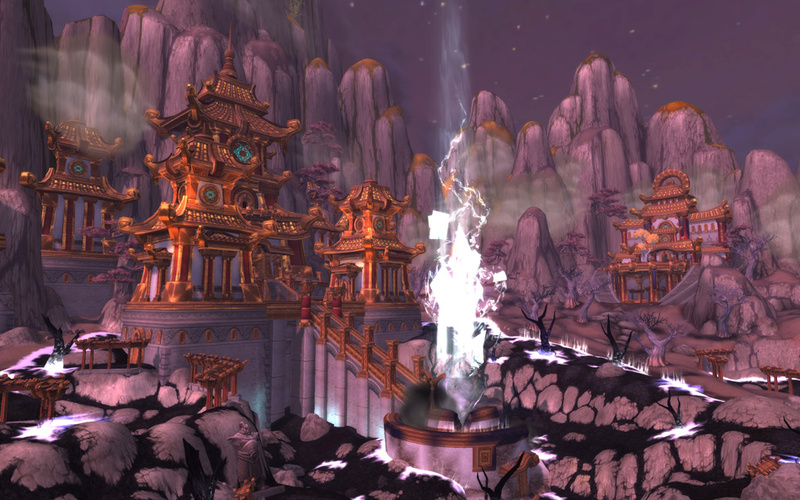 This entry was posted in General, Raid, Warcraft and tagged Flex, guild, Massive Multiplayer Online, normals, proving grounds, raid, Roleplaying, shaman, standout, world of warcraft by Typhoonandrew. Bookmark the permalink. You should try and come to our Flex raid tonight. It’s lots of fun and you get to learn the mechanics and possibly some nice loots! I’ll try to get a long tonight. Great idea. Having missed a week of playtime and the opening of LFR I’m keen to get some upgrades. The LFR is only an upgrade I two slots so flex is perfect.